Two elementary schools and three library branches in Omaha will offer Prime Time Family Reading Time this spring to families whose children, ages 6 to 10, struggle with reading. neighborhoods where student reading scores do not meet state standards. Spring Lake Magnet School will host a bilingual Spanish/English Prime Time series on Thursday evenings March 28-May 2. Gilder Elementary will offer bilingual Prime Time on Monday evenings April 8-May 13 at 5 p.m.
Omaha’s Willa Cather Branch Library will offer a Prime Time series for Native American families and others who want to participate. The program, designed around Native American themes, will be held Tuesday evenings Feb. 5-March 12 at 5:30 p.m.
South Omaha Library and Charles B. Washington Branch Library have offered the program twice a year since 2004. This spring, South Omaha Library will host a bilingual Spanish/English series on Monday evenings March 4 – April 8 at 6:30 p.m. The Washington Branch will host an English-only series on Saturday mornings Feb. 16-March 23 at 10 a.m.
Each program begins with a light meal and continues with storytelling and discussion based on award-winning children’s books. Pre-registration is requested, but not required to attend. Separate preschool activities will be available for younger siblings. 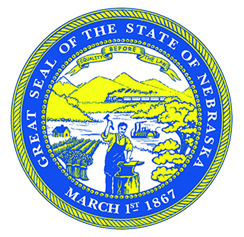 Since 2002, nearly 5,000 Nebraskans have participated in one or more of the 101 bilingual and English-only Prime Time series held statewide in 15 public libraries, 10 elementary schools and three community centers. discuss books together, and 98 percent showed interest in participating again in Prime Time or similar family reading and educational programs.